SEO is a great traffic source when done right. Some search ranking techniques still work today as well as they ever have. There are always changes going on and importantly you need to be aware of them and make adjustments as social media signals become more important. Blog networks have been targeted heavily for having low quality posts and being paid links. Discover why you need to own the racecourse in this traffic training Video. Watch as James Schramko outlines some very powerful RSS to PDF and Press Release strategies for distributing your content further (and ethically). Beyond SEO you can go way deeper into increasing your conversions and scaling up with more traffic channels. Do not rely on any one source of traffic. If so, please share the social love with a ‘like’, +1 and Retweet! You may also head over to iTunes and rate us. Is your SEO done right? Hi, this is James Schramko with a special SEO featured training module. We see a lot of customers with our SEO business at SEOPartner.com, and when people want a further understanding about SEO we usually explain it as look, it’s a bit like flying a kite. Sometimes, people are trying to fly a brick. I mean, your website has to be good. 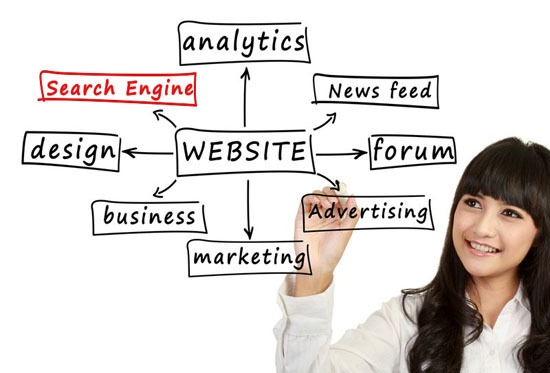 If your website is no good in terms of structure, then it doesn’t matter what sort of work we do on it. It’s not going to rank well. Even worse, sometimes customers bring us sites that are full of garbage content. Spun content that is duplicated all over the internet. They’ve used private label articles or they’ve used some sort of scraper that pulls content from other people’s sites and puts it to theirs.You need to have original content. So what sort of hosting is good for your website? And what sort of website should you have? The best setup is a self-hosted WordPress website. Google loves WordPress and WordPress is very easy to use. Once you’ve got the basic foundation right, then it’s time to have a look at the secondary thing. The domain name that you have your website on is also important. Good brandable domains with a nice reputation and a high level of trust are admired by Google. If you can get a mature domain that already has some pagerank and links pointing to it, that’s even better! The next step is to make sure that your keyword phrase is in the page title. If you go and google a bunch of different phrases, I’m pretty sure you’ll find that almost all of the websites that come up on the first page of Google have the same keywords in the page title as what you’ve typed into Google. And they’ll also be bolded so they stand out for the searcher, thus making it more relevant. So now we are really flying like a kite. We’ve got our WordPress site and it’s time to put useful content on it. What sort of content should we put? We want content that stands out, that is different, that’s special, that creates value instead of boring old standard text articles. Have a look at things like comparison charts and put some results pages and proof, information graphics. What we’ve found is information graphics that represent statistics and figures that are drawn into picture actually drive visits and encourage people to share, and they can tend to go viral. By telling your story in a picture, in an information graphic, that is really good stuff to put on your website. It stands out. It’s special. People share it and that’s what Google is looking for. They’re looking for content by humans for humans. So now you’ve got great content, it’s time to drive links to your site. And the more links you get, the more content you put, the better results you’ll get. What we tend to do is drive a whole bunch of links to our sites. Here’s an example of one of our own websites where we just keep adding links and adding links. We get them from all different places and I’m going to share with you a few of those sites now. The first one to pay attention to is YouTube. It’s owned by Google. It gets lots of views. People love video content, and it gives you a chance to make it interesting and to really make it vibrant. What we do on our channel is make them a bit of fun and at the end of each video we put a call to action driving people back to our website. We have people who visit our website after going to YouTube, and of course you should put a clickable link in each of your episode notes. And when they get to the site, that’s your opportunity to help them join your list. Once they join your list through an opt-in and perhaps on the promise of a transcription or something to that effect, you now have the ability to communicate when you have new posts. Of course, this drives fresh traffic to your website, which Google pays attention to. And the other thing that they like to see is visits from social sites so we set up a fanpage for the same website. So now we have the WordPress blog, the YouTube channel, the iTunes channel, and we have a Facebook fanpage. And that combined with Twitter, gets all different visits coming to our site from all these different social signals showing Google that our content is interesting and informative. Here’s the thing about SEO, it’s really not that difficult. Just like cars, you know back in the old days, in the 20s, they had four wheels, a steering wheel and an engine. Guess what? Today they have four wheels, a steering wheel, and an engine. They’re pretty much the same. If you were to hear about SEO years ago at conferences, you would have heard them talk about RSS syndication, blogs and getting links from blogs. And the funny thing is, it still works really well now. The same thing for press releases. Press releases are just totally awesome for driving a whole bunch of links coming to your site. We typically get 5,000 to 10,000 results for an advance press release. Here’s some examples where we put out the press release and it goes and gets published on sites like Yahoo.com. Google is going to trust the content coming from Yahoo.com because it’s a trusted site, and it’s a powerful site. When you have links coming to your site from all these different sites, that actually looks good. We even did a press release about Panda and had that republished nearly 20,000 times so this just gives you an indication of how powerful press releases can be. Even in this day and age of Panda and rich snippets, etcetera, we’re getting results like this. The other thing that we noticed about press releases is that they have a lot of social signals. Press release syndication usually involves lots of tweets and retweets and Facebook likes, and that’s what Google is looking for. Here’s a handy tip: you can take your good content from your blog and feed it via RSS to a site called Zinepal and then publish it on Scribd. Scribd is a PageRank 8 site that has over 52 million pages indexed and your blog ends up being reprinted in a PDF and Kindle format, EPUB format and you can have it easily socially shared and RSS syndicated. In the case of my blog, each week it republishes my posts into PDF, Kindle and EPUB, and they end up on Scribd. Now, what this says to Google is well, this is a pretty cool little publication. There’s several hundred people clicking on each publication, 200 to 300 visits back to my website via the banners, and that’s looking good in terms of good quality content that people actually like to see and are happy to share. Now getting traffic is one side of it. Let’s have a look at the other side of the equation – conversions. One of the best tools is actually the Analytics tool that Google gives us for free. And of course, we’ve all seen the standard stats like visits and unique visits, pages per visit, and average time on site, but what people aren’t looking at perhaps is the goals and conversions. Inside Analytics, you can set goal completion so you can actually track to a dollar value and your percentage conversions for the amount of people who visit your site, and subsequently make a purchase or an opt-in. Beyond that, they even have funnel views that show you how many people go from one page on your site to another page on your site. Here’s a funnel showing how many people progress from the first page of my site to the second page, and then they go to the third page and they subsequently make a purchase. And what this is telling me is that around about seven percent of my visitors end up going through four pages and making a purchase. But it also tells me which other page they go to if they don’t buy. One of the nice things about Analytics is they actually have a free tool called the URL Builder. You can google that. And this tool actually allows you to enter variables so that you can track where your traffic is coming from. You literally put down the campaign source, medium term, content and campaign name. Generate the URL and use that link in your campaign and when you go into Google Analytics, it actually shows you where your conversions came from. Now looking at this, I can actually see that I’m making good conversions from Google organic traffic. I’m making good conversions from my press releases and I’m making really good conversions from my Aweber emails, so I actually know exactly where the traffic is coming from. And if I want to drill down even further, let’s just take the press releases for example, I can drill down to which press release, written by whom, has generated the most visits and the best conversions. One of my press releases here is converting at 4.17 percent, so I’ll actually go and see what that press release was and I’ll make sure that I’ll do more marketing around that topic because obviously it’s resonating with my customers. If you want to see this represented in a different view, you have this nice flowchart. This is showing me for one of my new products that a good portion of my sales have come from a direct channel, another chunk have come from a loyalty email. The next batch came from a prior event that I’d run before. The other batch came from a previous product purchase and then five people actually purchased on their way to leave the site. They got introduced to an exit pop up which I used a trackable link for and I’m able to tell that five people actually made a purchase even though they were going to leave my site. If you want to see it in a breakdown like this, this is what it looks like. So I can actually work out my percentages based on the different channels. I know for a fact that my previous purchase customers are very strong buyers when I introduce a new product. Furthermore, I can actually drill down and look at the whole sequence in a flow diagram, and this is all in Analytics and it’s for free. This graph is showing us 31,600 visits and where they went in the sale cycle and what happened to them. And the thing that I really like the most is it shows you on each exit point where they went to. One of the exit points here is showing me that 28 people went to my LiveChat offline form. So let’s talk about this live chat for a minute, because it’s kind of stealthy. LiveChat Inc. is this really cool device that you can install on your website and engage people into a conversation or answer their questions on the spot. But even if you don’t use that, in real time you can watch people on your website and see where they came from. You can actually see the trackable source and where they move through your site, and I find this is an incredibly valuable tool. In this case here, I can see that people are coming from my site from all different sites. I know what page they’re on. I know what keyword they typed into Google or which search engine they’ve been sent from. I can even watch them move between one of my sites to another site. In more detail in Analytics we can see different paths. We can see direct referral organic search. We can see which channel grouping they’ve used when they come to make a purchase. It would be looking like this if you wanted to graph it. So I can see that some people have come back to my site 3, 4, 5, 6 times. Other people have come via search and then back to the site, and other people have come just from social networks – a couple of times from Facebook and then purchased. So this is a really cool thing. If you were to look at a diagram, you’d see that getting customer groups from different places and some of them overlap. So my direct visits are quite high, which proves to me that brandable domains and really good logos are certainly worthwhile. Then I’ve got direct plus referral, then direct plus organic search, so I can see these big overlaps and what this means is you need to be in multiple places. You need traffic coming from different sources, and you’ll end up with the sales. Here’s something else I found that was interesting in Analytics, and this is the path length and interactions. This is how many pages on my site they dealt with, and a good slice of my customers purchased in the first three pages. But a lot of them still buy at four and five pages, and then when I look right down to the end I noticed that 6.74 percent of my customers still purchased after 12 or more visits to my website. Again, brandable domains and multiple contact points is the secret here. If we want to represent this a different way, let’s have a look at the time lag in days. A lot of my people purchased in the first day or the second day. And then right down here, have a look at this, 12 days or more, I’m getting 15.73 percent of my buyers after 12 days. Again, multiple touch points, repeated contact and people will buy if you have a good brandable product and you don’t apply too much pressure on the front end. Now, I want to talk about my SEO trace dye technique. This is a really cool way of working out what’s working with SEO. This is partly how we do our SEO testing and tracking, and we know which properties are ranking really well. Step 1 is come up with a new phrase. In this case, I came up with a product name called Wealthification.It didn’t really exist before I used it, so I was able to track the first 3,270 results in Google. Now, a week later, we’re using my effective press release campaigns, I was able to generate 26,800 results for this particular phrase that I pretty much invented. And now, I can go to Google and see what’s causing this and of course, PRWeb is just all over the place. Facebook is picking up listings which shows me that social signals are important. And of course, Yahoo picking up the news is always a good sign for Google. I’m going to show you in a minute what that meant for my Wealthification website, but before I do that here’s a really important point. It’s okay to have your site on Google and to be obsessed about SEO, and SEO is very important and it gets great traffic results. But remember, you’re playing on Google’s playing field and when they make algorithmic changes and when they change their ranking factors, it can affect your site. Now, you have pretty much no control over that and of course, the best that you can do is work with partners who research and test, and minimize your danger. But you’re never completely safe. What I like to do for my business is make sure that Google is just one part of the tree. You’ve seen from my Analytics that I’m getting different traffic coming from other places like iTunes, YouTube, and Facebook. And of course, putting your products on Kindle, with Amazon, and remembering that there’s still other search engines like Bing that you can optimize for. That gives you a little bit more spread and you are protected from major swipes from just one player. So it’s better to own the racecourse than to be the race horse. Our team came up with the spaghetti bowl, which is one of the coolest ways to get traffic to your site because you’re using all of the different traffic channels. You’re not dependent on just one. And you get that customer coming back over and over and over again, through different channels, and they tend to purchase. TrafficGrab is a product that I published that actually releases the spaghetti bowl and it’s a really, really cool product. Even though it’s a few months old, it still works well with Panda and it’s putting our business on top. When I go into my stats, I can see that the goal conversion rate is pretty good across the board and I’m getting traffic from all different places. Having good, strong brandable logos, having a good solid SEO campaign, getting affiliate promotions, having a list that you can email repeatedly by offering them good things to be on your list, having a social media presence, podcasting and being on iTunes, and putting out good quality PDF document. Now, I don’t know if you can see the conversion rate there but it’s 6.82 percent, so PDF transcriptions are really good quality content and the sort of thing that Google love. We also offer online reputation management, so remember that search engine optimization is really, really good if you have a customer or if you know someone who is in trouble, then ReputationManagementAuthority.com is a great site to get a package together that is going to help put your three brand new sites in front of bad websites. Here’s a stat, this is the number of impressions that my Facebook account had last week with paid advertising – 3,003,854 impressions. This shows that there’s still an enormous amount of eyeballs out there that are not Google-dependent, so make sure you’re tapping into all the different traffic channels. And of course, the best things is to be the conductor of the orchestra. You don’t have to play every instrument, and I highly recommend that you use a quality provider, whether that’s a Facebook advertising agent, whether it’s SEOPartner.com or LinkJuice.com or ReputationManagementAuthority.com. Make sure you use a quality provider who knows what they’re doing and be prepared to put some resource upfront to get the payoff. With SEO, remember that you’re going to burn a little resource in the beginning, but once you get that momentum, you’re getting results that your competitors just can’t reach. And on a final note, does this stuff actually work? Yes, it does. In my last campaign for Wealthification, I know that Twitter was going berserk with a hundred new results every morning when I logged on and I noticed we had a first page listing for “successful business,” “successful business strategy,” and “business strategy.” Now, “business strategy” has 23,700,000 results and we’re ranking on the first page for a newish site that did not exist with any substantial content only just a few weeks ago. So I know this is possible for us, I’m pretty sure it’s possible for you. Hope you’ve enjoyed this training. If you’ve got any questions, please ask at superfasthelp.com.